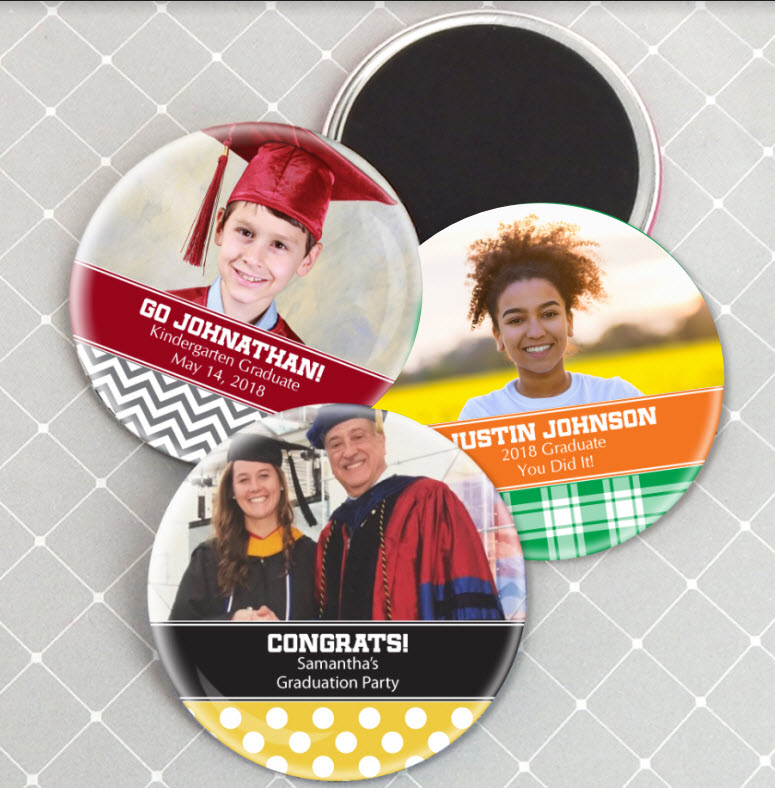 Magnets are practical personalized graduation favors. Choose a school color when selecting the background for this fun magnet. 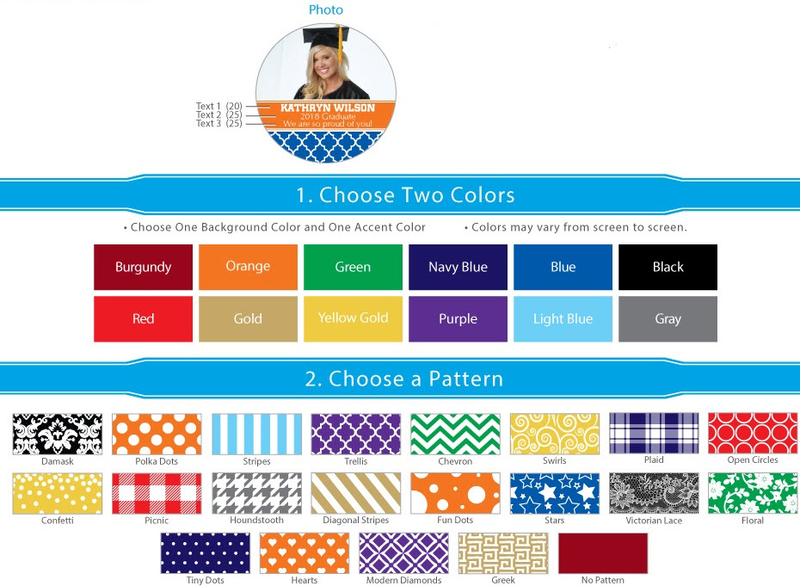 A graduation cap is displayed in the center and your custom message shows below. 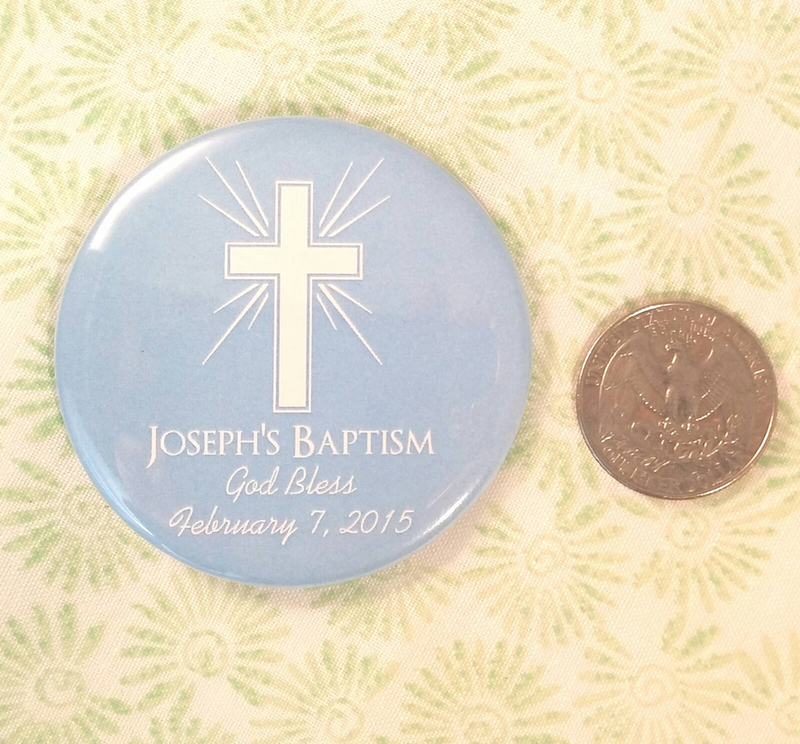 Your favors measure 2.25" in diameter. A horizontal orientation photo works best for this item, if you have a vertical orientation photo there needs to be sufficient area all around the subject in the photo so that we can crop it on our end to make it fit in the image area. When you place your order on our site, you will receive an automated confirmation email. Please respond to the email and attach the photo you would like to use for your magnets or mirrors. If you have questions about your photo, you are welcome to email it to us for review prior to placing your order so that we can determine if it will work. I ordered these magnets, which look like pins. It was so easy to upload my photo, select my colors and my message to create my unique favor. Everyone at the party loved them and we all have a cool keepsake for years to come! !